AseptProTM is innovative weight synhroblock with Ultra Hygienic Control for milk filling and others sensitive products in PET, HDPE or Glass bottles. 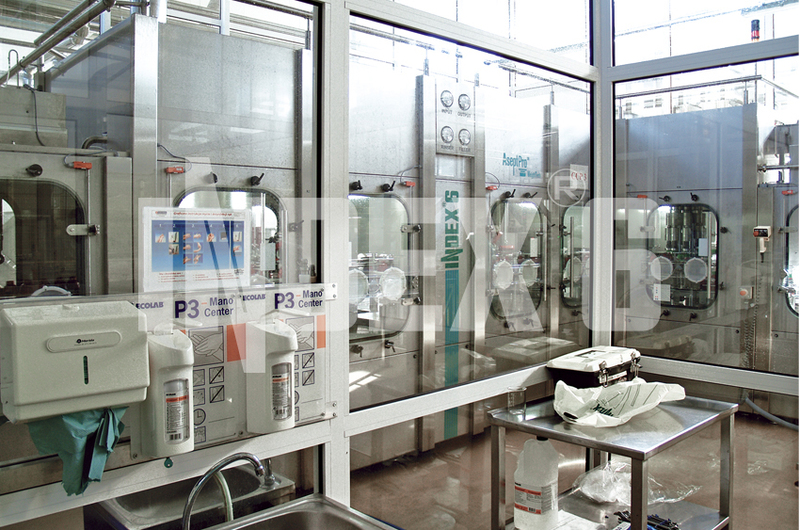 New Ultra Hygienic Design in aseptic construction by HDC - criteria of hygienic design. 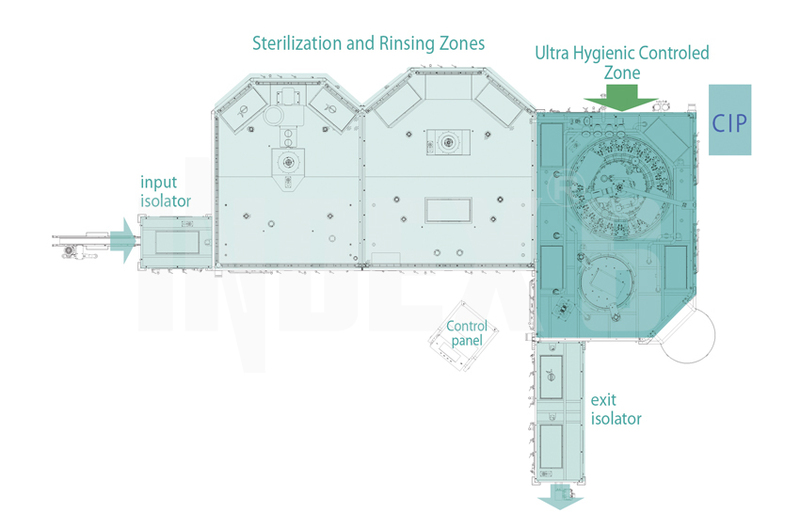 Hermetically sealed cleanroom. Very small size of the cleanroom – for perfect cleaning. 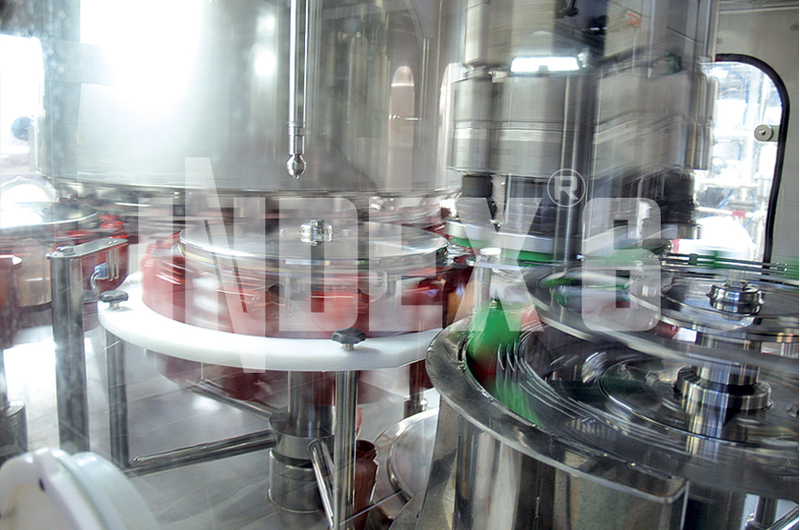 The mechanical parts in the cleanroom are reduced to minimum numbers and are designed for automatic cleaning. 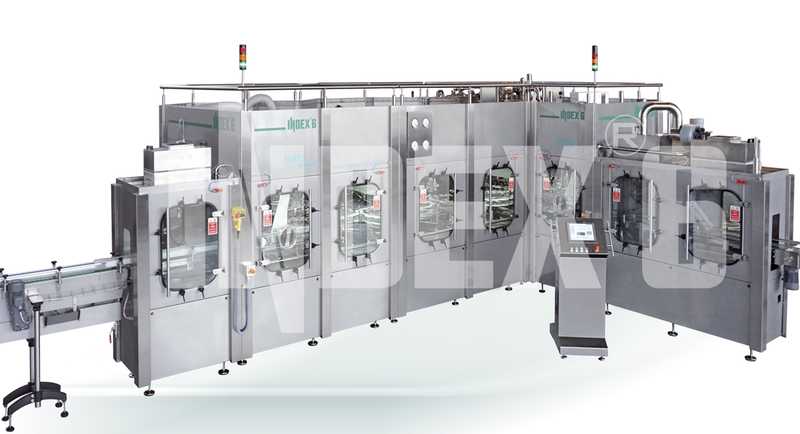 Internal surfaces ensuring fast liquid evacuation during washing (self-draining panels as well as fully automatic and adjustable cleaning-in-place/CIP/ process). Complete washing (CIP and SOP) within 3 hours. Cleaning and sterilization of the filling valves through a device for automatic shut-off of the filling nozzle and feeding of the sanitizing agent in forward and reverse flow direction. WET PPA Technology for bottles decontamination (NO spores). No need for short sterilizations during operation. Autonomous CIP unit.